Sharing the gospel online can be a daunting task for teenagers. 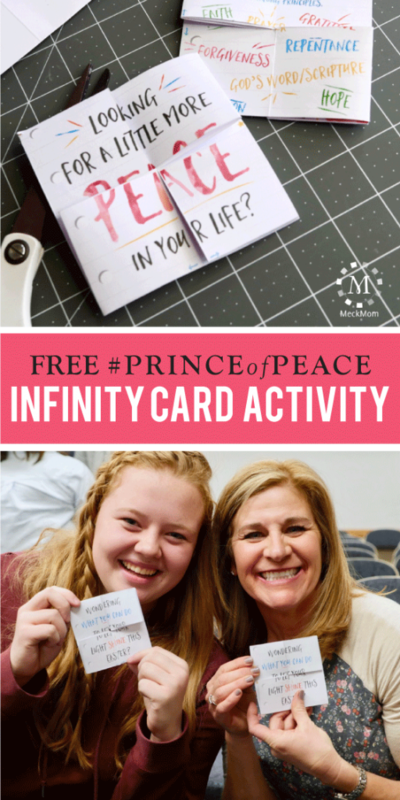 I created these quick and easy scripture-sharing infinity cards to help the Young Women in our ward share the #PRINCEofPEACE message. The cards are created with a simple piece of paper and scissors so they’re easy to put together in a big group. They’re also great for church activities because they can be recorded and shared without showing any faces. Click the video below to get all the details. The construction process is really easy. Check out the video below to get all the assembly tips. I tested this simple activity in my sister’s ward in Alpine, UT and the kids loved it. I took the first 10 min to talk about the effect of the #LIGHTtheWORLD campaign on the Church. You can find some cool stat about that here. Most of them had posted something about #LIGHTtheWORLD during the Christmas season. I asked them how they felt about sharing the gospel via social media and then told them about the upcoming video #PRINCEofPEACE. The Easter video is focused on 8 peace-making principles taught during the Savior’s ministry: Faith, God’s Word, Compassion, Gratitude, Prayer, Forgiveness, Repentance, and Hope. We chatted about how the scriptures can teach us about all of those principles and can bring us peace during turbulent times. 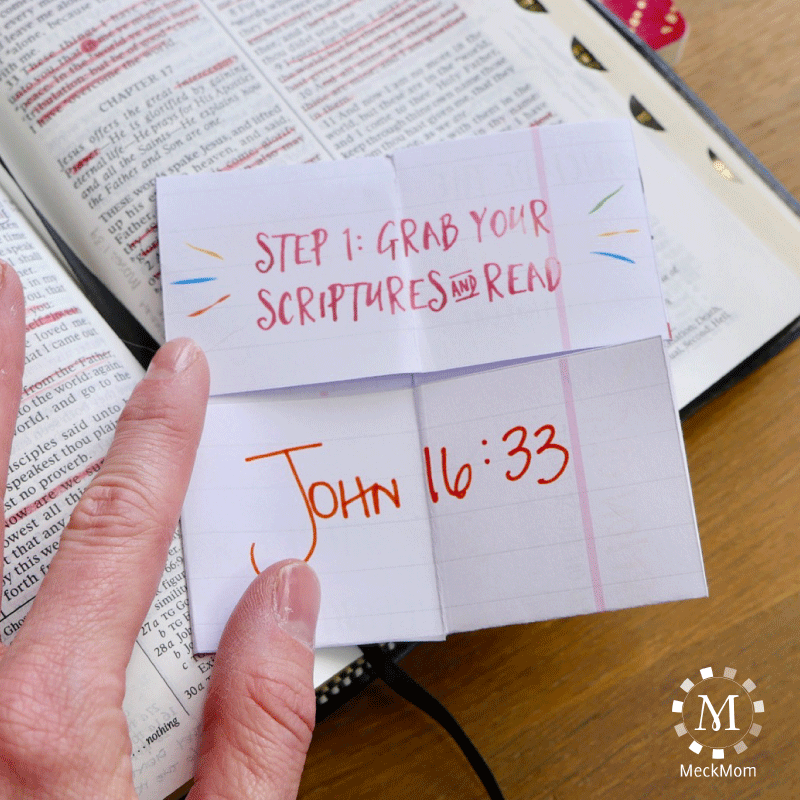 I challenged them to choose a scripture that had brought them peace at some point in their lives and share it on their social media feeds during the Easter season. We then took the next 30 minutes crafting our cards. Once everyone had the hang of things and had added their favorite scripture, we took turns recording them to our phones. By the end of the hour, every teenager had a cool, 15-second, shareable video saved to their phones and a reminder on their calendar to post them during the week before Easter. The kids were enthusiastic and entertained. They came up with so many cool ideas on how to make their videos unique. Some of them changed the background, others flipped their cards in unison, some even came up with grand plans to make a giant card and film it with a drone. 🙂 The night was easy, fun and full of purpose. If you’re looking for a simple way to bring a little fun to your next mutual night, I hope you’ll give it a try. You can find this free printable (and dozens of others) on my site, MeckMom.com, by clicking here. This entry was posted in #LIGHTtheWORLD, #PRINCEofPEACE, FHE, Scriptures, Seminary, Teaching Tips, Young Men Young Women Joint Activity, Young Women, Youth and tagged #PRINCEofPEACE, easter, Free printables, meckmom, Mutual Activity, Teaching Tips, YW on March 23, 2017 by Maria Eckersley.